Splashwire has named Drew Hufford as technology advisor. Hufford previously held technology consulting positions at Lancaster-based Aspire Ventures and a number of firms in Aspire’s portfolio of healthcare IT companies. In his new role as technology advisor, Hufford will provide strategic planning and guidance to Splashwire’s clients for technology, infrastructure and applications. He also will provide IT solutions, design and project management services. Hufford has more than 10 years of IT consulting experience. He previously was director of support and operations for Connexion Health, where he helped develop a smart kiosk that makes healthcare screenings more accessible and convenient. 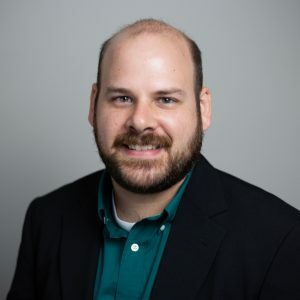 He also formerly was director of healthcare IT for Aspire Ventures and MedStatix, where he led infrastructure builds, system integrations, HIPAA compliance and electronic medical record initiatives. Hufford earned his bachelor’s degree in information technology from Juniata College. Splashwire is organized around four core services areas: consulting (system integration, migrations, implementation and operational support), solutions (converged architecture, visualization, networking, wireless and locally hosted solutions), security (Security as a Service, compliance, monitoring, incident response and disaster recovery) and communication (business-class Internet and telecommunications solutions). The company also places an emphasis on C-suite services including Chief Information Security Officer (CISO) services, an option for organizations that need top-tier IT security expertise and guidance on an ongoing basis; and business intelligence services, which turn raw business data into meaningful and actionable insights. Formerly operating as 2K Networking, the company rebranded as Splashwire in June 2018. In January, the company announced that Hinkle, previously its director of business development and strategic initiatives, acquired the company and assumed the role of president and CEO. While Splashwire is well-versed in the complexities of healthcare IT, the firm also has depth of experience in other sectors including education, government, manufacturing and non-profit.